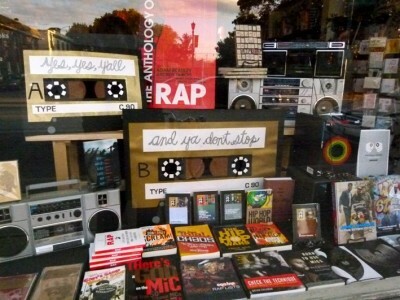 A new book charting the rise of rap music has been released by Yale University Press. "The Anthology of Rap" was written by Andrew Bradley and Andrew DuBois two Professors of English at the University of Colorado and the University of Toronto. Why is rap so interesting to these academics of the English language? NPR recently interviewed Professor Andrew Bradley, one of the co-authors, and we learn how our favorite raps tunes can be broken down to the intricate lyrics, social commentary and syncopation. These Professors are telling us why we love these tunes! "Now, even with my poor MCing skills, you can hear within that something pretty tremendous. And what that is, is this is what I've discovered by actually transcribing it [Rapper's Delight]. It's written in ballad stanza. This is the form of Samuel Taylor Coleridge's 'Rime of the Ancient Mariner.' But it's also the form of the 'Gilligan's Island' theme, you know, the ballad stanza of storytelling form that's been with us in our culture and finds its way, whether intentionally or not, into these lyrics." Adam Bradley (Co-editor, "The Anthology of Rap") discussing The Sugarhill Gang's 1979 classic, "Rapper's Delight." "The Anthology of Rap" explains how the original M.C.s were actually party D.J.s. And if you watch Doug Pray's 2002 "Scratch" documentary you'll also hear various hip hop legends explaining how the hip hop D.J. (or in the 70s more likely a break D.J.) ceded the spotlight to the M.C. Legends vs. The Hits This isn't a book about the best-selling rap records. There's no Vanilla Ice, M.C. Hammer or even Young M.C. The Anthology is about the lyrical prowess of rap and the artists that wrote those rhymes. In particular, Rakim is held in high regard. No doubt! God M.C. Just in time for the holiday season two Los Angeles' finest, hip hop record label, Delicious Vinyl, and online clothing retailer, Digital Gravel, have come together to bring us some old skool hip hop classics. Delicious Vinyl hits all get love: Young M.C. 's "Bust a Move," The Pharcyde's "Passin Me By" and Tone Loc's "Wild Thang." A limited run of 50 shirts of each design have been made available in this first run. It's a shame these shirt designs don't do justice to these legendary Delicious Vinyl rap artists. Nope, lyrics printed on a shirt are barely recognizable except for the most addicted rap head! If you disagree...don't sleep because they may sell out...but I doubt it! The best thing about hearing about these garms was they made me go out and discover this unreleased Young M.C. electro remix on SoundCloud and The Pharcyde video that I'd never seen before!Check them below. Labels: Delicious Vinyl, Digital Gravel, Fashion, Hip Hop, Old Skool, Pharcyde, Tommy Sunshine, Tone Loc, Young M.C. Hip hop fashion comes and goes, but some things are eternal. And when a company calls itself Sedgwick and Cedar, named as a tribute to D.J. Kool Herc and the foundations of hip hop, we expect great things. Shopping cart I got the Japan and UK shirts. That Japan shirt is complete with silhouttes of Zoro from Wild Style! And the UK shirt had to be bagged...do you remember UK Fresh '86 at Wembley Stadium? 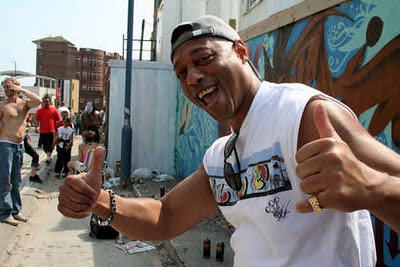 Oh mate, a weekend of hip hop: Afrika Bambaataa, Grandmaster Flash, Lovebug Starski, DJ Cheese and Word of Mouth, Dr. Jeckyll and Mr. Hyde, Just Ice...The list goes on! My man Jason (Hit the Ground Running) got a press pass for that show and got pics galore. The Street Sounds record label design on this shirt is the program for the weekend! From one iconic retired hip hop product (see my earlier post about the Technics SL-1200) to another. This time I'm writing about the battery-hungry boombox. You already know that I have a love of old skool, but somehow November feels like hip hop history month. 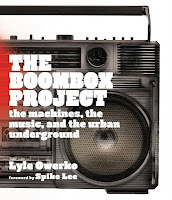 This NPR video someone sent me celebrates the launch of a book by award-winning photographer, Lyle Owerko, which features the history of boomboxes and fond memories from the likes of Run DMC, Beastie Boys, Don Letts (film maker and ex-Big Audio Dynamite), Fab 5 Freddy and Krs One. Read the NPR article here. The book's lengthy title is "The Boombox Project: The Machines, the Music, and the Urban Underground" and it contains stark pictures of these hulking blocks of metal and plastic, better known as ghetto blasters if you want to be politically incorrect! The book is like a time machine back to the 70s and 80s when Crown, JVC, Aiwa, Magnavox and Sharp, Sharp, Sharp were the names in the boombox game. See the photos at New York's Clic Gallery until December 5th. L.L. Cool J. 's homage to boomboxes! More history Visit this website for a wealth of info on the boombox. Creative In researching this posting I stumbled upon the talented designers and illustrators who helped give Owerko's book its vintage and retro comic book feel. One Horse Town did the posters and Modern Identity did the illustrations. Like many, I saw the news that Panasonic, the maker of the legendary Technics SL-1200 range of turntables, was ceasing production. To be clear - the analog turntable is dead, but the brand is very much alive! A conversation last night with DJ/producer Burt Blackarach sparked this post. Panasonic has seen a 95% drop in sales over the past decade. That's shocking. But, why do you think that is? Let's take a closer look. Is it because of just about every professional DJ uses vinyl's arch-rival CDs? Nope! In fact, I don't a DJ who is exclusively CD-based. Well, then is it because most DJs now use MP3s (via Serato or Final Scratch?) Yes, but think about it...you still need a "real" turntable because the whole point is that your MP3s are manipulated like vinyl. Here's a video of A-Trak showing us how Serato Scratch works - real vinyl manipulating MP3s. Here's my conclusion. The reason behind Technics' sales falling is that competition has gnawed away at its initial monopoly position. Ever since the legendary Grandmaster Flash was filmed scratching on a pair of Technics "decks" (the 1800 is a predecessor of the SL-1200) in his kitchen in the film "Wild Style" every man and his dog has released a turntable: Vestex, Stanton, Numark...Some have even tried to replicate the iconic S-tone arm that made the Technics so special. 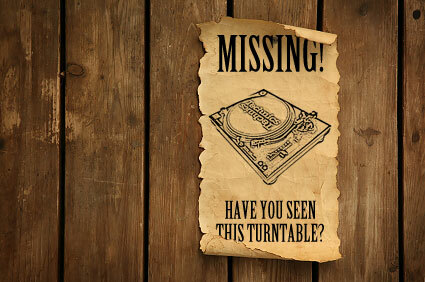 But, the main reason for Technics SL-1200's demise is an ironic one. The obsolescence expected in today's products (as explained in this "Story of Stuff" video) wasn't built into the SL-1200! This turntable was built like a tank. It was heavyweight - 24lbs - it was reliable, and since there were very little moving parts (no belts to replace) there was very little to wear out. It was like the engineers got their way, rather than the business men ruining the design for commercial reasons. So, sad to say, but the Japanese reputation for design and reliability was really the death-nail to the Technics SL-1200. R.I.P! "So what happened? In a way it's surprising that the analogue deck has survived this long. The writing was probably just about visible on the wall when the compact disc became mainstream back in the mid-1980s. It took a while for the hardware to catch up, but in the last few years so-called "CDJs", which allow DJs to manipulate audio on CDs using physical control surfaces (which often bear a strong resemblance to vinyl turntables), have become sophisticated enough for widespread use. The advantages are clear; smaller and lighter than a record, a CD can also hold many times the number of tracks. 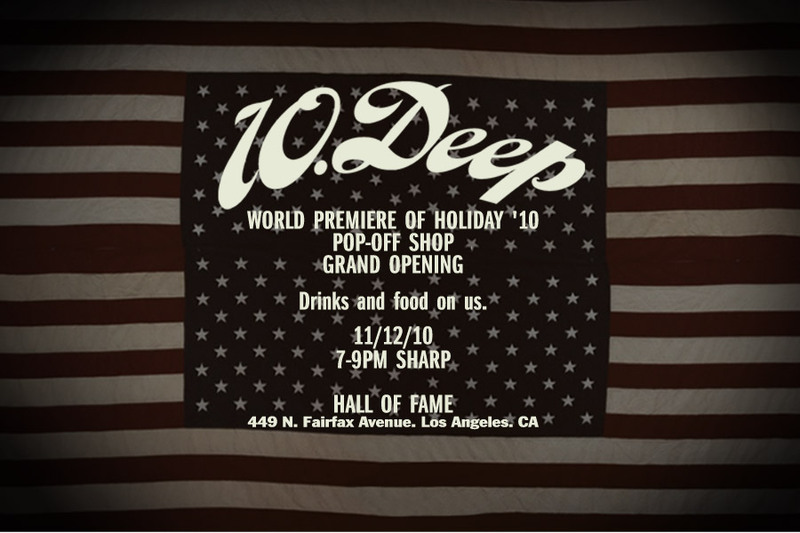 If you're in the area, the store will open at 7pm on Friday, November 12th and showcase "the global premiere" of its Holiday 2010 collection as well as some exclusive garms only Hall of Fame will carry. 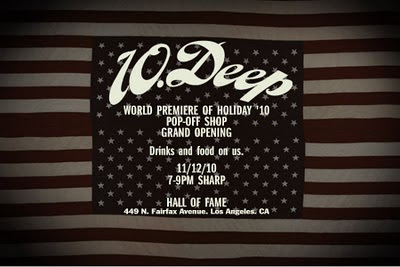 If you don't know, 10.Deep has released four mixtapes from the likes of Wale, Kid Cudi, DJ Benzi and Donnis. When a rapper goes out of his way to sell you something other than his music, you have to wonder what's going on?! "This week, I’ve had the privilege of sharing some of the “behind-the-scenes” images, observations and general commentary from the filming of the various commercials that comprise the new “So Kodak” campaign. 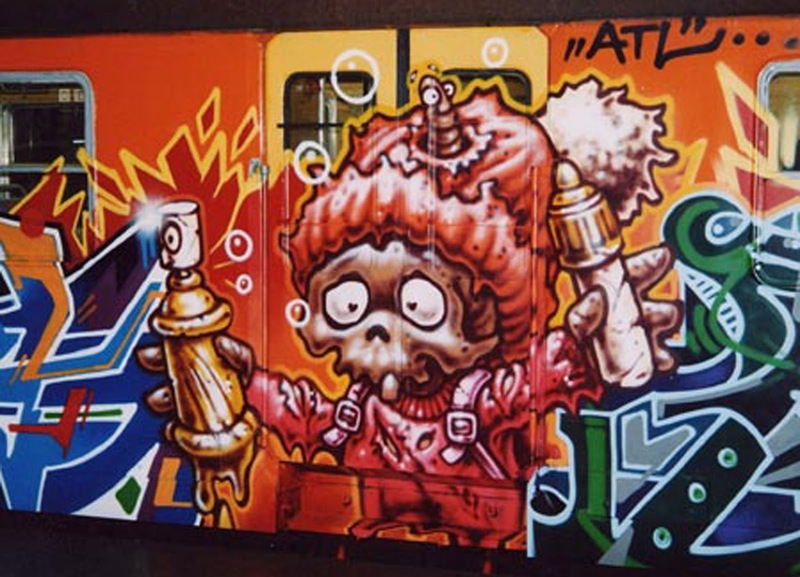 The graffiti film "Wholetrain" has been described by Charlie Ahern (director of "Wild Style") as "...an impressive piece of work. 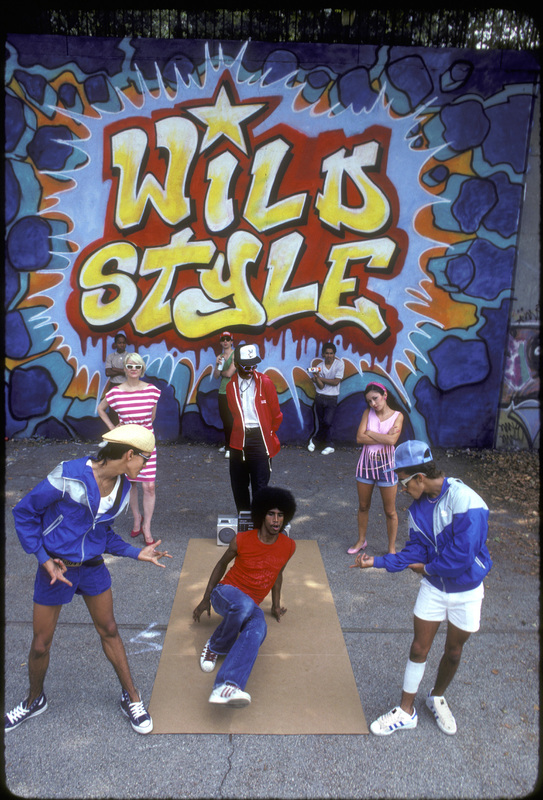 It´s the only Graffiti-Movie that can follow in the footsteps of 'Wild Style'." If you didn't catch it during its international film festival run, wait no more! It's finally being released on DVD in the U.S. later this month. You can pre-order before it ships worldwide on November 23rd by going to Amazon. And, you can cop the soundtrack now on CD or vinyl here on Amazon! Yep, vinyl...Old skool! Check out a streaming sampler below. Produced by Florian Gaag, aka Aero One, it features KRS-One, El the Sensei, Planet Asia, and one of my favorite rappers, O.C. The film develops into a tale about the crew's internal friction as they try to overcome their nemesis and how it eventually frays the unity between the friends. 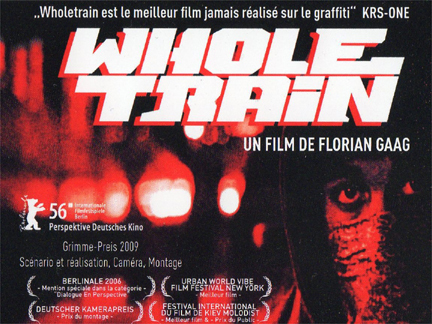 This does take many hip hop cues from the New York of the 1980s, but "Wholetrain" is a uniquely European tale which highlights how multicultural and ethnically diverse cities have become: David (Mike Adler) could have African blood, Elyas (Elyas M'Barek) is of Tunisian decent, whilst Tino (Florian Renner) and Achim (Jacob Matschenz) seem of German heritage. Hip hop is the unifying factor that brings these young men and their friends together. Writer and director, Florian Gaag, captures the limited opportunities these young men have and the sense of freedom and achievement they get through their graffiti. You get a glimpse into the mundanity of life in these cities and why graffiti offers a meaningful creative outlet for a generation. 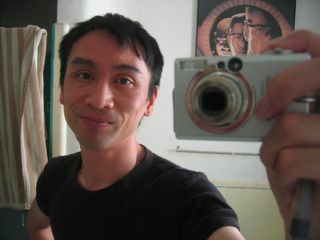 Tino works part-time in a cinema and argues with his estranged girlfriend about childcare for their son, Kenny. We see Elyas' family kebab business and his job as a panel painter, whilst Achim is flunking school to break free from his regular middle-class family. Getting Up "Wholetrain" captures some of the essence and drive of why illegal graffiti writers do what they do. Gaag shows us the preparation and planning, the blackbook of designs and the bravado of the writers' bench. What is unique in this film is tension and anxiety that goes into an illegal "bombing" mission. We see KSB hit a train interior during the day and several raids on a trainyard at night to paint their burner pieces. Collaboration Gaag got the (rare) cooperation of a Polish train company to make "Wholetrain." Without it and the support of established graffiti writers (Cemnoz, Neon, Won, Ciel, Pure) the film wouldn't be as powerful and realistic as it is. Support "Wholetrain"by ordering it on Amazon and spread the word! The UK's DJ Switch won the DMC World Supremacy 2010 last month, beating DJ Getback from France. I've sat on this news for a few weeks, but I had to dust it off! UK has to be celebrated! There are two solo DMC DJ championship titles which is confusing...here's what I learnt the DMC World Supremacy champion wins via a head-to-head, multi-round battle! Whilst the DMC World DJ champion wins in a single showcase. Capisce?! France is a force to be reckoned with...LigOne won the World DJ title! Scratch video Previous World Champ, DJ Shiftee, has released a very clever video tribute that spans years of DJ battles. It features Shiftee as protagonist stepping in the shoes of many of his DJ heroes. Flashback! Ed Koch was Mayor of New York City for nearly a decade during the height of graffiti in the city, 1978-1989. 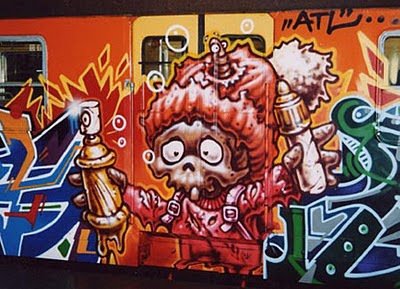 His battle against graffiti on the subway was immortalized in the film "Style Wars," produced by L.A.'s Tony Silver (R.I.P.) and Henry Chalfont. Stuck in time Two decades later, I read in the New York Times a retro graffiti movement has been spotted near the Prospect Park area of Brooklyn. Whilst Seen (United Artists) has been spending time in Paris, France over the past couple of years it seem fans have taken his infamous "Hand of Doom" whole train (1980) and recreated it at Gowanus Canal in Brooklyn. Graffiti "Slavery" The artists behind these classic tributes are part of a collective called "Slavery" and made up of, predominately, graffiti writers who grew up studying "Subway Art" like many others born too late to see the real deal rolling gallery. Inspired by another New York artist, Steve Powers, aka ESPO, (whose project brightened up a rundown West Philadelphia commercial district as part of the city’s Mural Arts Program,) the Slavery collective has chosen 50 seminal old-school graffiti murals to recreate and customize as part of a project imaginably called "Subway Art History." R-E-S-P-E-C-T As Subway Art co-author, Henry Chalfant, says, the "Subway Art History" project is a rare form of tribute in the world of (New York) graffiti: “I think it’s a wonderful reverse of what usually happens, which is that these people whose shoulders everyone has stood on don’t get any credit,” he said. Support and collect The "Joan of Arc" piece will be available as a print from Edition One Hundred, a new online art gallery that sells only 100 limited-edition prints, all signed by the artists. 10% of the profits go to charity.